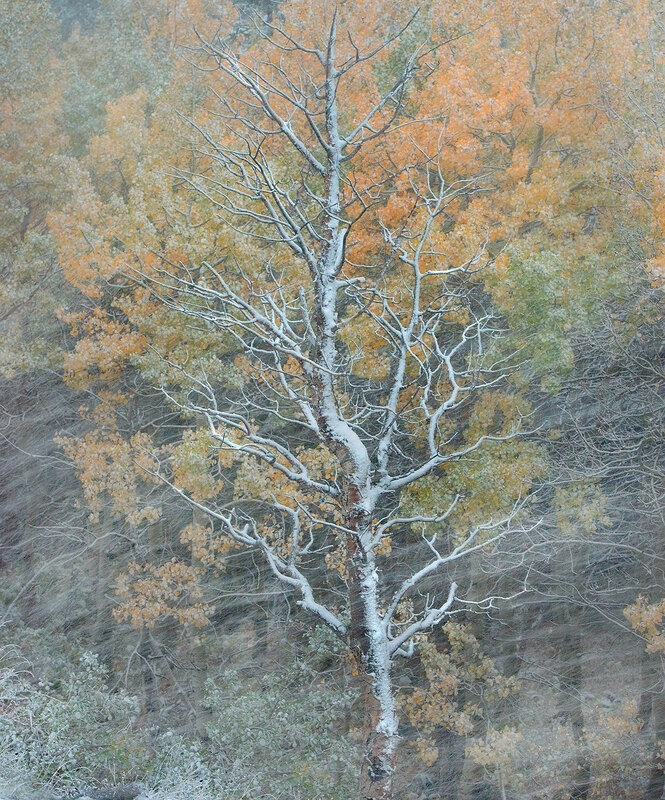 A blizzard moves in and blankets an already-bare tree set against others yet to come. Glacier Park, Montana. Photo © copyright by Marc Adamus.